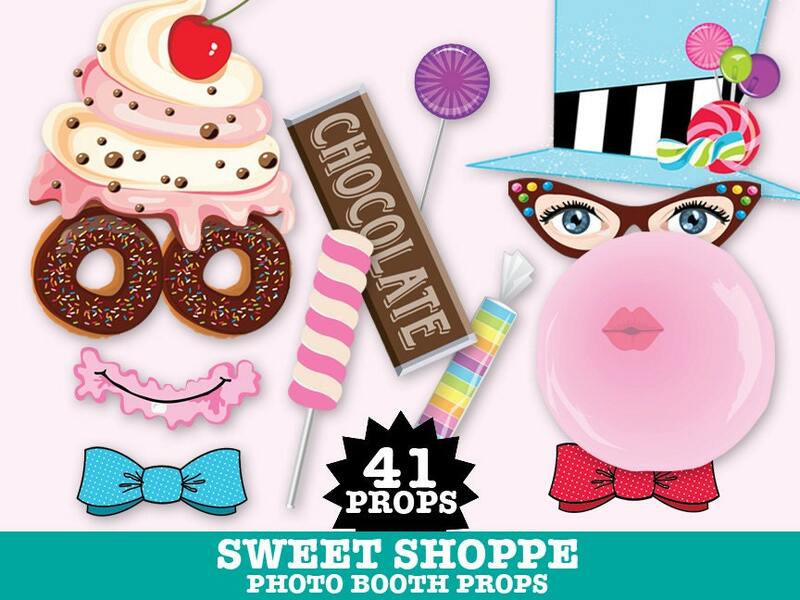 (¸.·´This Sweet Shoppe Photo Booth Prop DIY Printable kit includes 41 props: Cotton Candy Hair ★ Candy Top Hat ★ Cupcake Frosting Head ★ Propeller Beanie Hat ★ Candy Crown ★ Candy Necklace ★ Donut Glasses ★ Candy Glasses ★ Glasses with eyes ★ Glittery Star Glasses ★ Bubblegum Bubble Mouth ★ Chocolate Mouth ★ Smiling Pink Mouth ★ Crying Mouth ★ 3 Lips ★ Pucker Lips ★ Chocolate Frosting Mustache ★ Pink Frosting Mustache ★ Vanilla Frosting Mustache ★ Blue Frosting Mustache ★ 2 Bow Ties ★ Chocolate Cupcake ★ Vanilla Cupcake ★ 3 Soda Pops ★ 2 Chocolates ★ Chocolate Bar ★ 2 Lollipops ★ Sweet Tarts ★ Marshmallow Lollipop ★ Swirl Lollipop ★ Grab a Prop Sign ★ 4 Editable Speech Bubble ★ Instructions, plus information pdf for materials needed & paper suggestions. 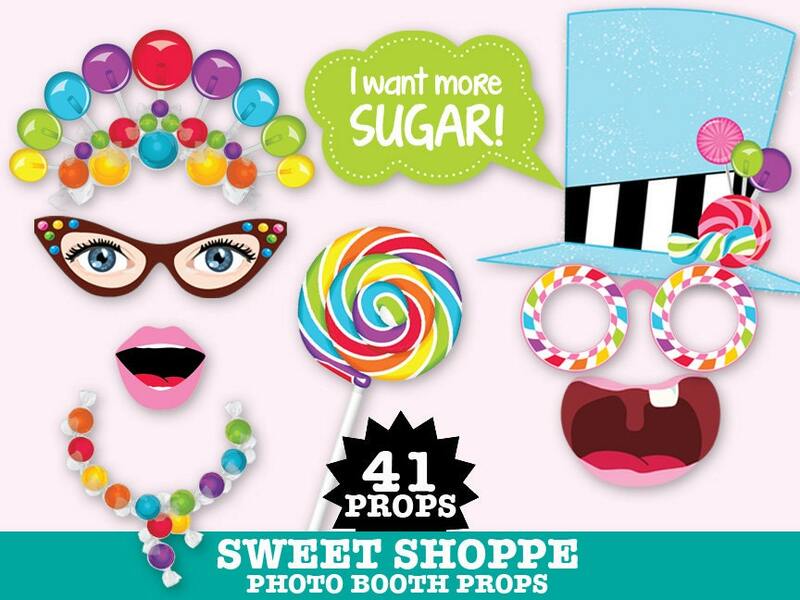 You'll enjoy sweet photos with this enormous collection of sweets. Great also as a centerpiece... party decor... Valentine's Day... party favor... or hostess gift. 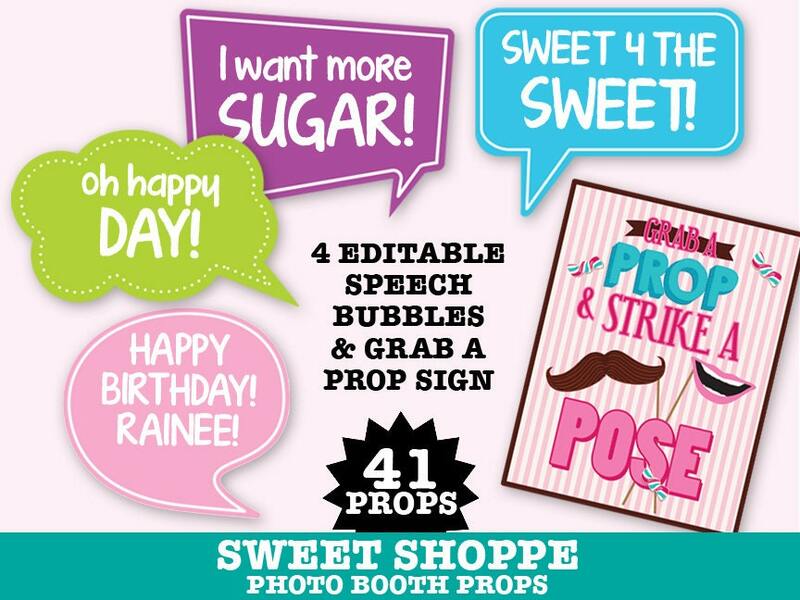 There will be tons of smiles... laughter galore... and sweet memories to share with this Sweet Shoppe kit. Files were easy to download and printed beautifully. 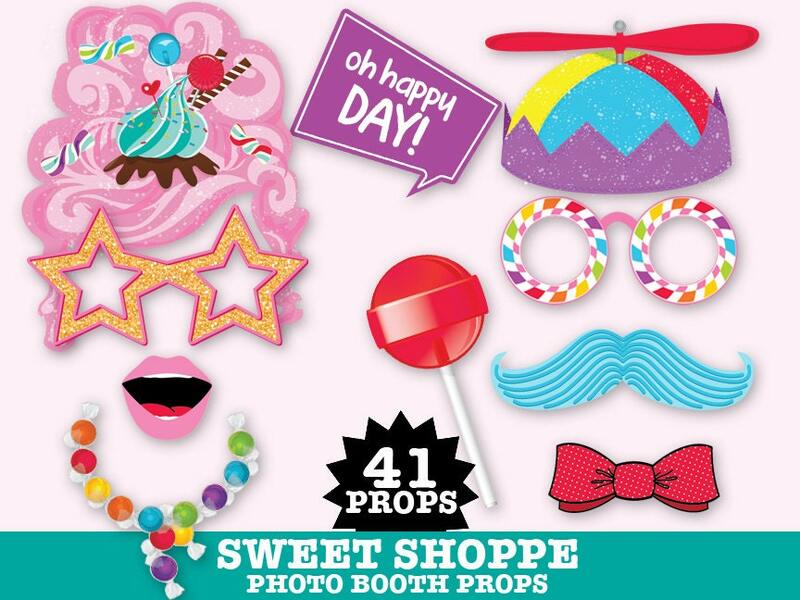 They were used for a children’s party and were a big hit! 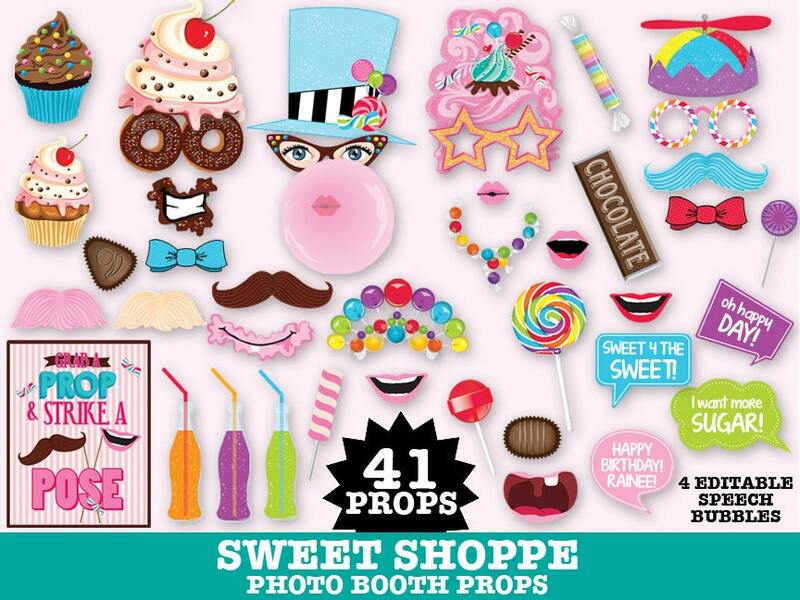 Made a great addition to our Sweet Shoppe themed party! So cute! Didn't take me long to cut everything out either.